Back Care Advisers are in growing demand from a society where more days at work are lost through bad backs than almost any other cause. It is not always possible or economic for specialists in this field to belong to a Trade or Professional Association and this insurance scheme has been designed to provide insurance to independent practitioners and consultants alike. Although access to the Scheme is not conditional upon membership of any Professional Body or Association, practitioners will need to produce evidence of appropriate qualifications to demonstrate training and competency in their chosen field(s). 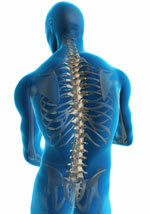 Please click here if you are a member of the National Back Exchange (NBE). The insurance is provided by AXA Insurance UK plc with levels of cover and options to suit most individual requirements. The policy covers all previous work of a similar nature subject to any claims being reported to the practitioner for the first time during the currency of the policy. There is no excess to pay on either compensation claims or legal defence costs. In addition when retirement beckons or practitioners cease to practice, the policy will automatically provide up to three years run-off cover to deal with any claims from earlier work at no extra cost. For quotations please download and complete the application form, on reciept of which we will provide you with a detailed quotation. If you require any assistance please call one of our professional advisers on 01245 321185 or click here to send an email for further assistance.